After some horrible weather on the weekend the sky cleared, the wind changed and the ocean showed it’s teeth. This ”one in a decade” swell hit Sydney full on. A powerful 10-12ft at 11 seconds rolled in from the North East. By now known as Black NorthEaster swell. Many spots were oversized and unsurfable. All the Eastern Suburbs beaches had massive waves coming in making any access to the waves impossible. North End Bondi was the only spot protected due to its location, and a handful surfed a few waves in the murky waters. The real experienced knew where to go and took the big boards out, and some waves around the 15ft mark were surfed. The RedBull CapeFear contest was on at Cape Solander and didn’t disappoint. 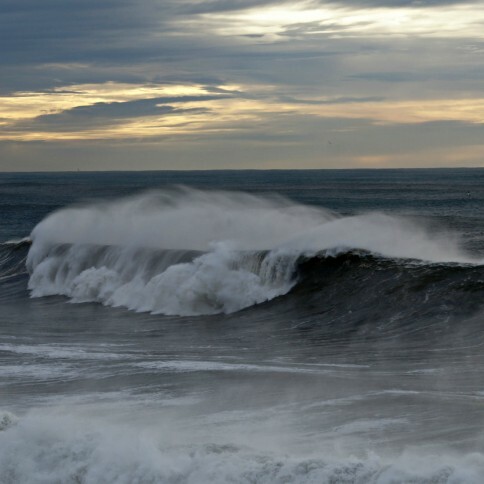 Probably one of the most scariest waves surfed at the spot known as ‘Ours’. We took a drive ourselves from Maroubra to Lurline Bay, Coogee to Bronte and Tamarama to Bondi. Impressive it was to say the least, in a way that you could stare at it and lose track of time. Hopefully everyone stayed safe out there and all our respect to those who attacked the waves, true watermen! Hit the play button and enjoy what Sydney had to offer on Monday, June 6th.